Growing Up Catholic resources are written, produced, designed, and supported by the Growing Up Catholic Team. Paul Canavese & Ann Naffziger are the directors of Growing Up Catholic. 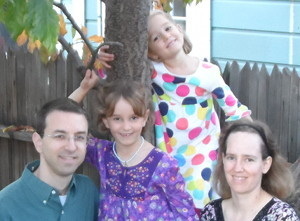 They live in Alameda, California with their daughters Madeleine & Rachel, five chickens, and three bee colonies. Their family operates their mini-urban farm, loves to bike around town, and find creative ways to build community in their neighborhood. Ann and Paul both serve as catechists at St. Augustine Catholic Community in Oakland. Paul has his MTS from the Franciscan School of Theology in Berkeley. He serves as an ongoing pastoral consultant at St. Augustine in Oakland, CA. He directs GospelLiving.org, a site focused on "intentional daily life Catholicism." Paul also has 20 years of software development experience with technology startups. Ann has her MDiv and MA in Biblical Languages from the Jesuit School of Theology, both in Berkeley. Ann now serves as a lecturer at the Jesuit School of Theology, spiritual director, columnist at BustedHalo.com, and Master Gardener. Gerardo Rojas serves as our Spanish editor. 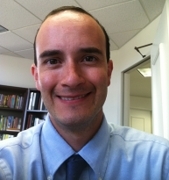 He is the Director of the Office for Youth Ministry in the Diocese of San Diego. He has a Master’s degree in Theology from the University of Notre Dame. He has served as director in the areas of Faith Formation, Youth Ministry, Hispanic Ministry, and Diocesan Youth Ministry. He is an ongoing instructor for the Diocesan Institute at the Diocese of San Diego. He is married and has two daughters. Leisa Anslinger served as a senior advisor, helping create ways to engage parents in the parish. Leisa is a pastoral minister, author, and national leader on matters related to coaching parents, engaging folks who are absent, and keeping faith central in daily life. She recently conducted an international survey of adult Catholic spiritual needs. Leisa has the gift of "pastoral insight" drawing on her many years in parish ministry. She is also the co-director of Catholic Life & Faith. To connect with Leisa's newest project for parish leaders, visit Bridge2Faith.net. Bill Huebsch is also a senior advisor. Bill has his MTS in Theology from the Catholic Theological Union of Chicago. He has served as a diocesan administrator, published many books on faith formation, and served as DRE at St. Stephen's Parish in suburban Minneapolis. He is author of Vatican II in Plain English and the Growing Faith Project.